I am a freelance artist and illustrator based in Worcestershire, producing greeting cards, paintings for children's bedrooms and original commissions. 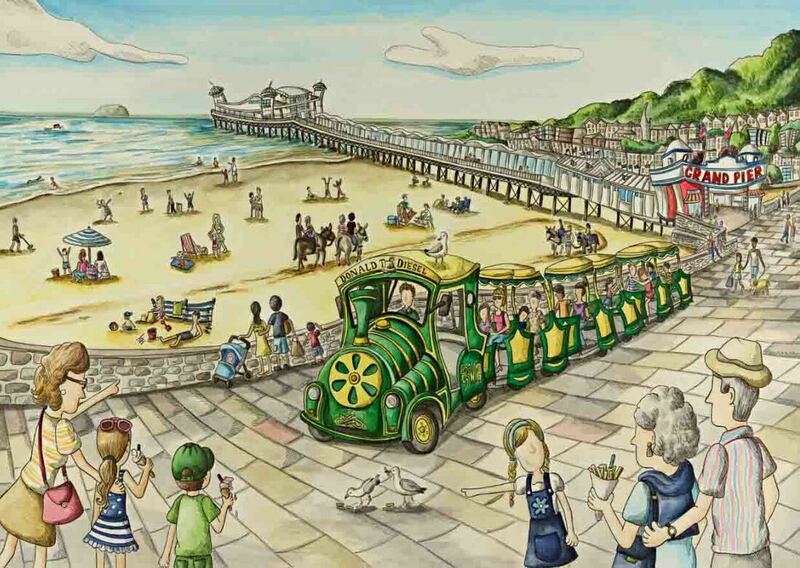 I couldn't wait to do a seaside scene and where better than Weston-Super-mare, a place where lots of family's go for a day trip? I have lots of happy memories from my childhood holidays in this area. Framed limited-edition prints out of 250 are available in sizes A3 and A2. I am taking part in the Droitwich Arts Network Exhibition in the Long Gallery at Hanbury Hall. This will be a chance to my two new paintings! Framed limited-edition prints are available in sizes A3 and A2. 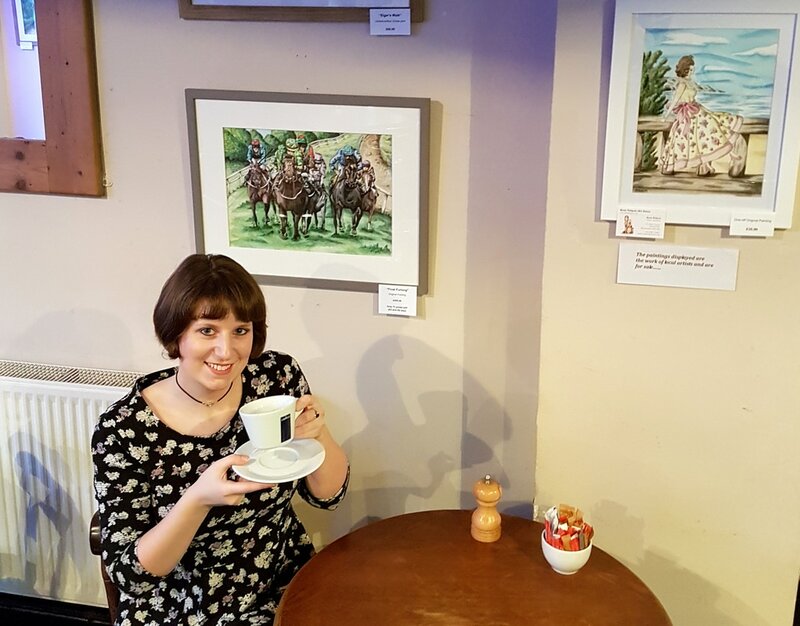 Prints of my local views and one-off originals of my greetings card designs are often on display in local cafés and other public spaces throughout the year. Please check the Exhibitions and Events page for upcoming venues.